A shooting incident near James E. Dottke High School forced a safety hold, school officials said Thursday. 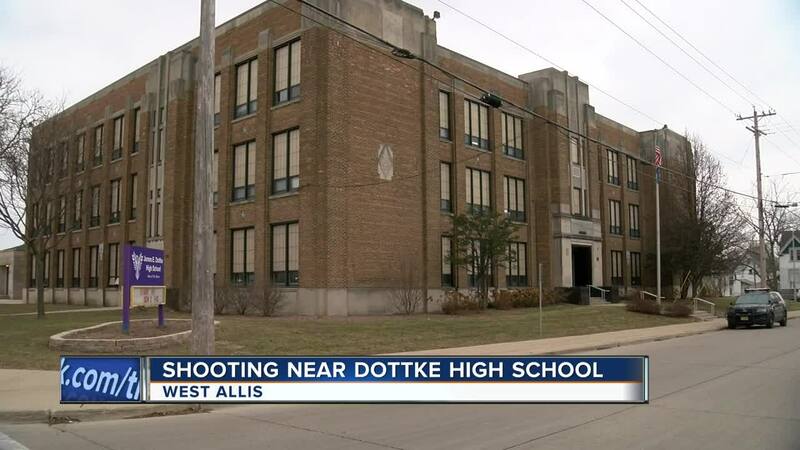 WEST ALLIS — A shooting incident near James E. Dottke High School forced a safety hold, school officials said Thursday. The incident, which involved two students, occurred about three blocks from the school about 10 a.m., in the 1600 block of South 76th Street. West Allis Police said in a news release. School officials said they learned of the incident about 10:15 a.m.
As part of school safety protocol, a classroom hold was put in place from 10:15 a.m. until 11:30. The hold was lifted after West Allis Police determined there was no threat to student safety. This is an active investigation involving minors, so the names of those involved will not be released. “The lives the children we serve are complicated by many factors beyond our control. When something like this occurs in the community, our job is ensure that our students are safe and supported in our schools. We believe this incident is not reflective of the student body or the positive behaviors and relationships that are fostered at James E. Dottke High School,” said Dr. Marty Lexmond, the superintendent. The district said it is providing additional counseling support in the high schools for the staff and students.